Our trusted security expert, Ravi Borgaonkar, informs us that all these flaws have already been discussed back in May, as part of Positive Hack Days (PHDays). 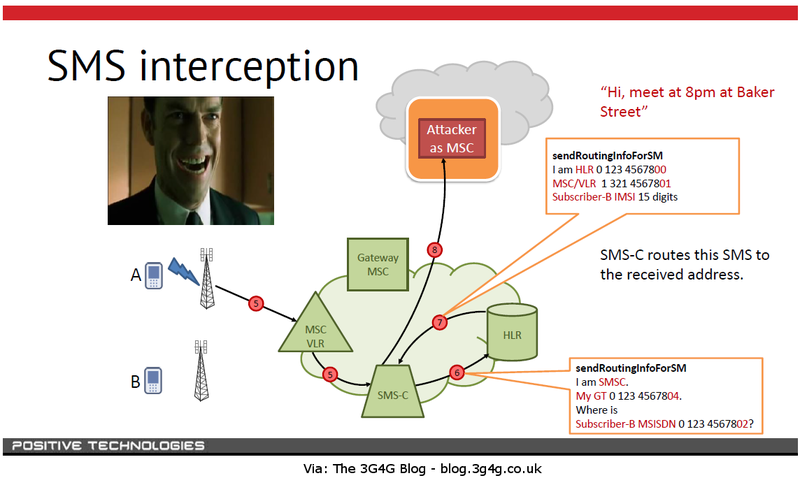 Here are the slides on SS7 hack from PHDays, http://t.co/VwUwtFVqyc mentions all flaws reveals in 3 #31c3 talks on SS7 security. Machine-to-Machine UICC, also known as M2M Form Factor (MFF) and is often referred to as embedded SIM (eSIM) is a necessity for the low data rate M2M devices that are generally small, single contained unit that is also sealed. The intention is that once this M2M device is deployed, then there is no need to remove the UICC from it. There may be a necessity to change the operator for some or the other reason. This gives rise to the need of multi-operator UICC (SIM) cards. The GSMA has Embedded SIM specifications available for anyone interested in implementing this. There are various documents available on the GSMA page for those interested in this topic further. GSMA defines two main types of profile. 1) Provisioning Profile: This is the communication profile initially stored in the eUICC when it is shipped. It is a limited-application communication profile used only for downloading and switching Operational Profiles, described next. An eSIM does not perform profile switching as a simple IC card function, but rather switches profiles based on instructions from equipment called a Subscription Manager. A Subscription Manager is maintained and managed by an MNO. The overall eSIM architecture, centering on the Subscription Manager, is shown in Figure 3, using the example of switching profiles within the eUICC. An eUICC must have at least one profile stored in it to enable OTA functionality, and one of the stored profiles must be enabled. 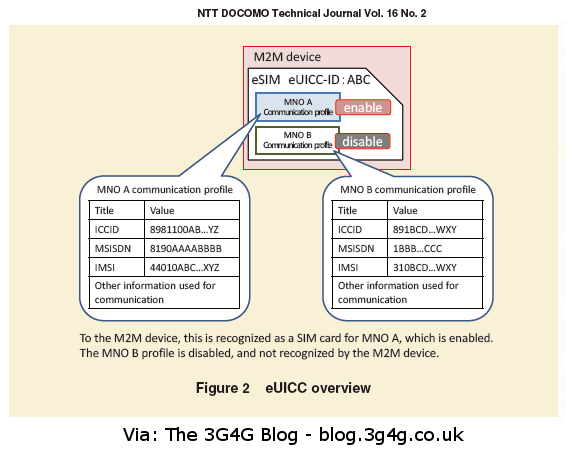 The enabled profile uses the network of MNO A for communication. When the user switches profiles, a switch instruction is sent to the Subscription Manager. At that time, if the profile to switch to is not stored in the eUICC, the profile is first downloaded. When it receives a switch instruction, the eUICC performs a switch of the enabled profile as an internal process. 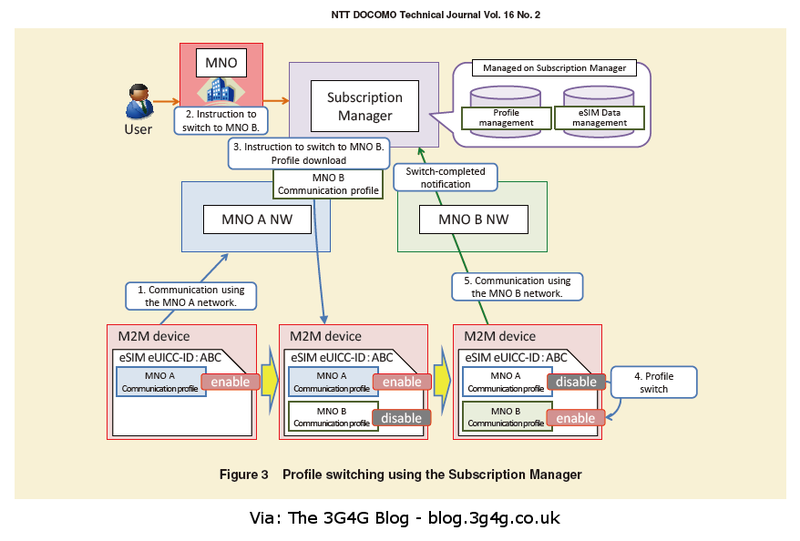 After the switch is completed, it uses the network of MNO B to send notification that the switch has completed to the Subscription Manager, completing the process. 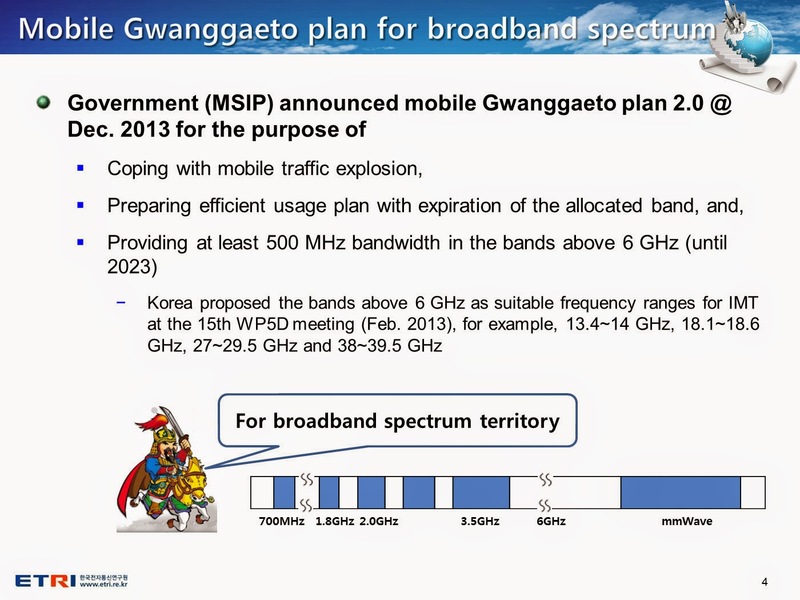 The same procedure is used to switch back to the original MNO A, or to some other MNO C.
I was looking at the proposed spectrum for 5G last week. Anyone who follows me on Twitter would have seen the tweets from last weekend already. I think there is more to discuss then just tweet them so here it is. 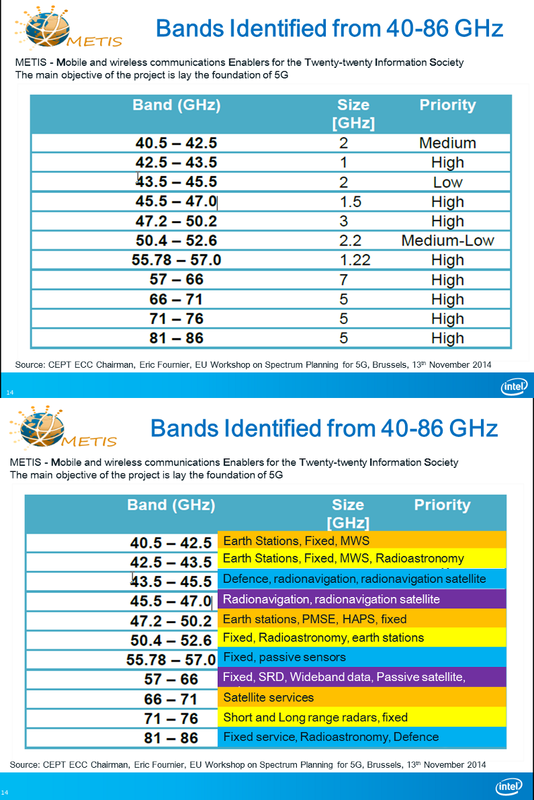 Metis has the most comprehensive list of all the bands identified from 6GHz, all the way to 86GHz. I am not exactly sure but the slide also identifies who/what is currently occupying these bands in different parts of the world. The FCC in the USA has opened a Notice of Inquiry (NoI) for using the bands above 24GHz for mobile broadband. 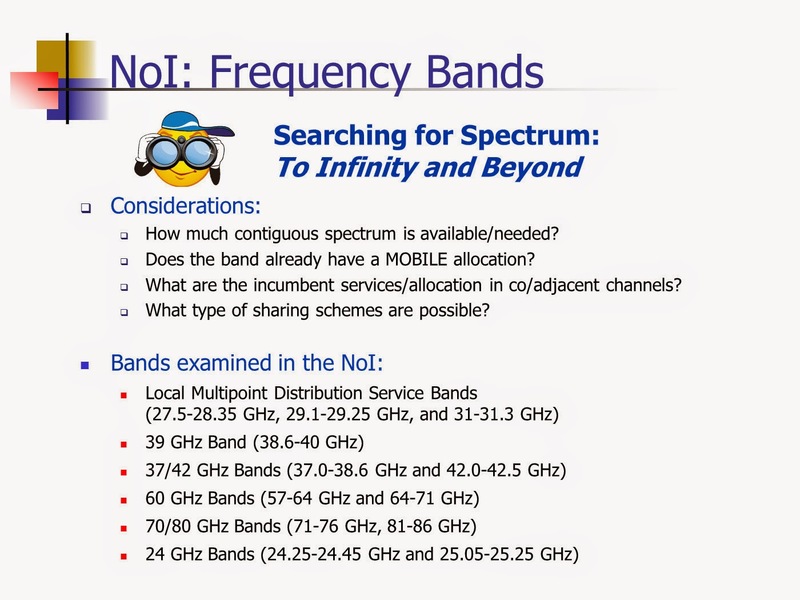 The frequency bands above have a potential as there is a big contiguous chunk of spectrum available in each band. 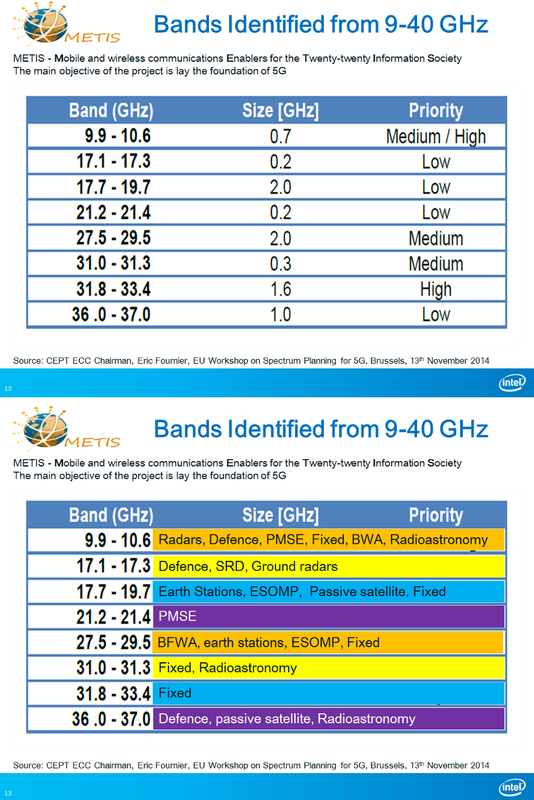 Finally, the slides from ETRI, South Korea show that they want to have 500MHz bandwidth in frequencies above 6GHz. As I am sure we all know, the higher the frequency, the lower the cell size and penetration indoors. The advantage on the other hand is smaller cell sizes, leading to higher data rates. The antennas also become smaller at higher frequencies thereby making it easier to have higher order MIMO (and massive MIMO). The only way to reliably be able to do mobile broadband is to use beamforming. The tricky part with that is the beam has to track the mobile user which may be an issue at higher speeds. The ITU working party 5D, recently released a draft report on 'The technical feasibility of IMT in the bands above 6 GHz'. The document is embedded below. 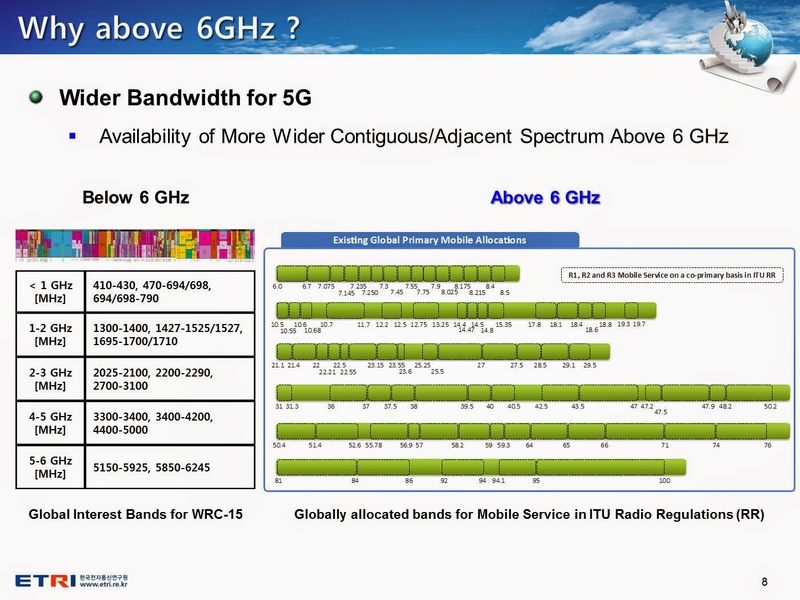 Moray Rumney from Keysight (Agilent) gave a presentation on this topic in the Cambridge Wireless Mobile Broadband SIG event yesterday, his presentation is embedded below. SDN and NFV have gained immense popularity recently. Not only are they considered important for reducing the Capex and Opex but are being touted as an important cog in the 4.5G/5G network. See here for instance. 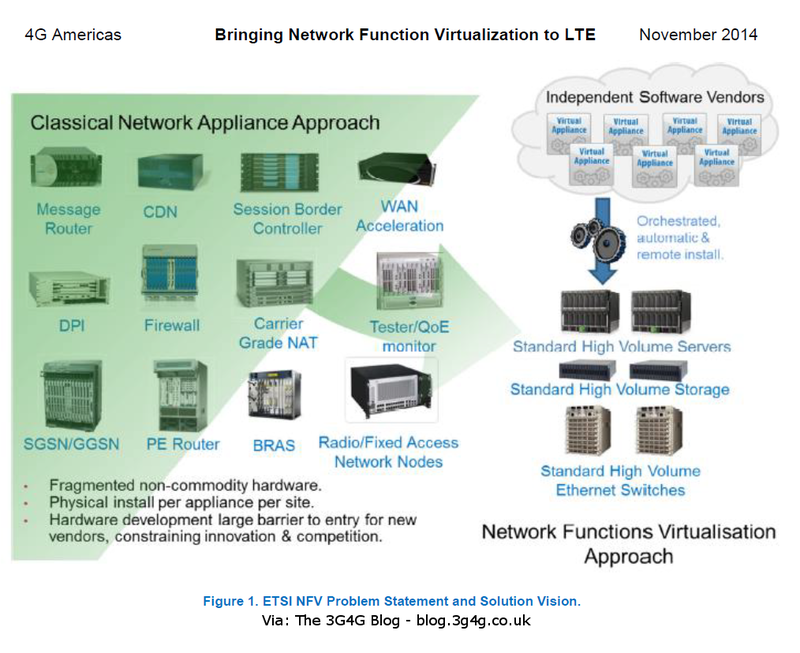 The strategies and solutions explored in the 4G Americas report on NFV aim to address these issues and others by leveraging IT virtualization technology to consolidate many network equipment types onto industry standard high volume servers, networking and storage. NFV is about separating network functions from proprietary hardware and then consolidating and running those functions as virtualized applications on a commodity server. Broadly speaking, NFV will enable carriers to virtualize network functions and run them as software applications within their networks. NFV focuses on virtualizing network functions such as firewalls, Wide-Area Network (WAN) acceleration, network routers, border controllers (used in Voice over IP (VoIP) networks), Content Delivery Networks (CDNs) and other specialized network applications. 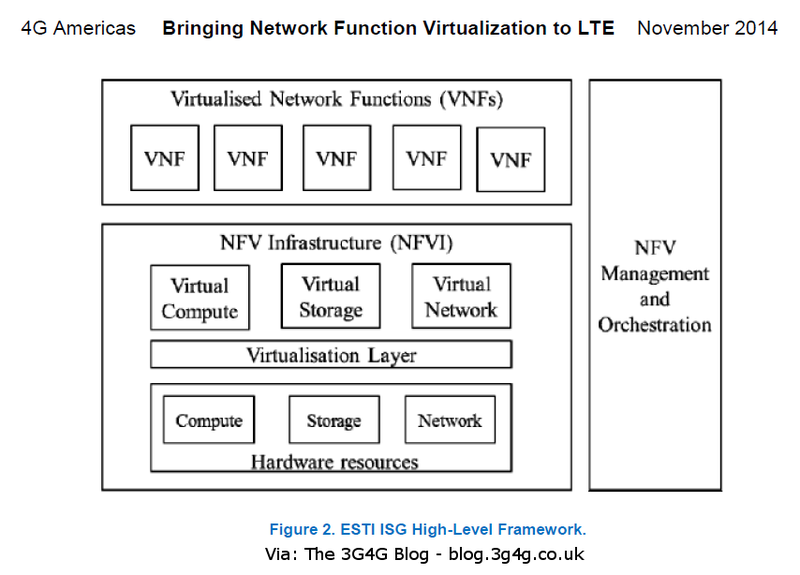 NFV is applicable to a wide variety of networking functions in both fixed and mobile networks. Improved capital efficiency: Provisioning capacity for all functions versus each individual function, providing more granular capacity, exploiting the larger economies of scale associated with Commercial Off-the-Shelf (COTS) hardware, centralizing Virtual Network Functions (VNFs) in data centers where latency requirements allow, and separately and dynamically scaling VNFs residing in the user (or data or forwarding) plane designed for execution in the cloud, control and user-plane functions as needed. Operational efficiencies: Deploying VNFs as software using cloud management techniques which enables scalable automation at the click of an operator’s (or customer’s) mouse or in response to stimulus from network analytics. The ability to automate onboarding, provisioning and in-service activation of new virtualized network functions can yield significant savings. Service agility, innovation and differentiation: In deploying these new VNFs, time-to-market for new network services can be significantly reduced, increasing the operator’s ability to capture market share and develop market-differentiating services. In particular, mobile operators can take advantage of NFV as new services are introduced. Evolved Packet Core (EPC), Voice over LTE (VoLTE), IP Multimedia System (IMS) and enhanced messaging services, among others, are examples of opportunities to use virtualized solutions. 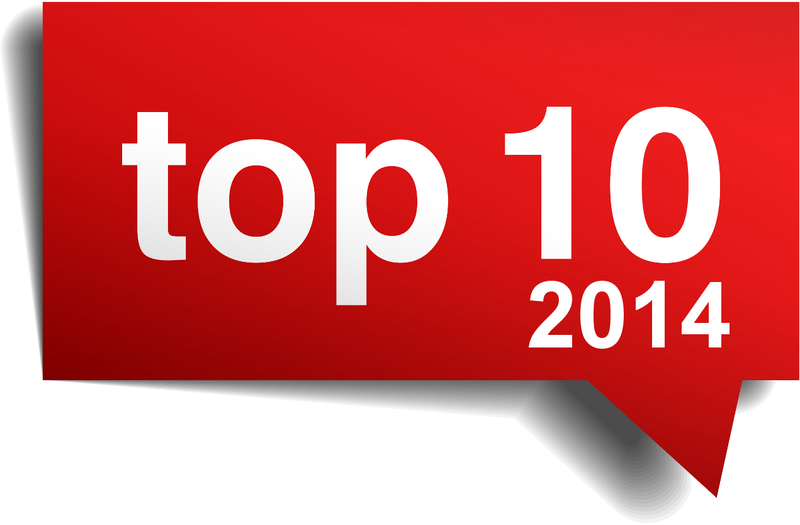 Some operators started deploying elements of NFV in 2013 with an expectation that many service areas could be mostly virtualized in the next decade.